August is such a crazy month for our family with birthdays what feels like every other day! It’s not just our immediate family, but many friends as well. It’s a busy, but happy month. I may be my own worst enemy, but for some reason I don’t often re-create the same card design. I like to do unique designs for each person. However, there was a card I made earlier this year that looked so striking I used it for my inspiration for this one. 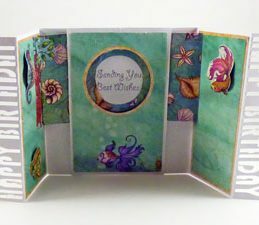 You can’t go wrong with the Fun Folds Card Collections – for this project I’ve selected the Shutter Card with the oval on the front face. I have omitted the oval and replaced it with the Vintage Frame file instead. I wanted to use the Dimensional Bow again (loving this file) and decided to place this at the bottom of the middle panel. I resized the vintage frame so it sat above the bow. I created the number 60 using the “Frank Ruehl” font and the word ‘years’ using the font ‘Brush Script MT’. With the new Inspiration Vue, cutting out the word ‘years’ after welding it was a breeze. A script font of this size would not have cut so cleanly on my old machine! When designing this project, I changed my line and fill colours to correspond with what I was cutting out. With various layers I wanted to make sure I had this right! I really like how we can change the colours in the software so we can get an idea for how our projects will look once assembled. 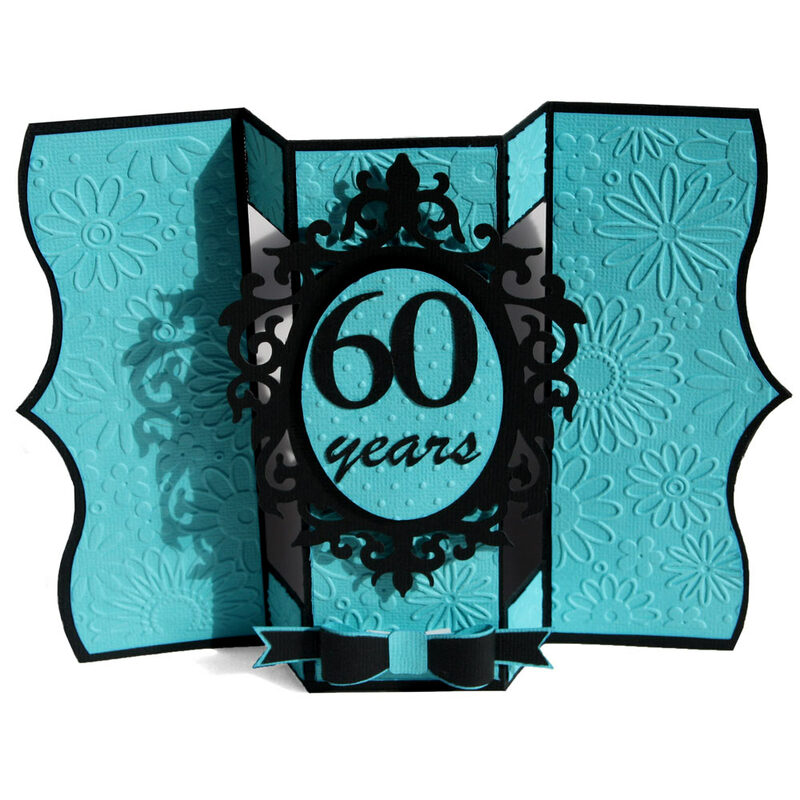 The blue cardstock I chose absolutely ‘popped’ against the black base and I jazzed it up a bit more by running the panel pieces through my little Sizzix Texture Boutique. 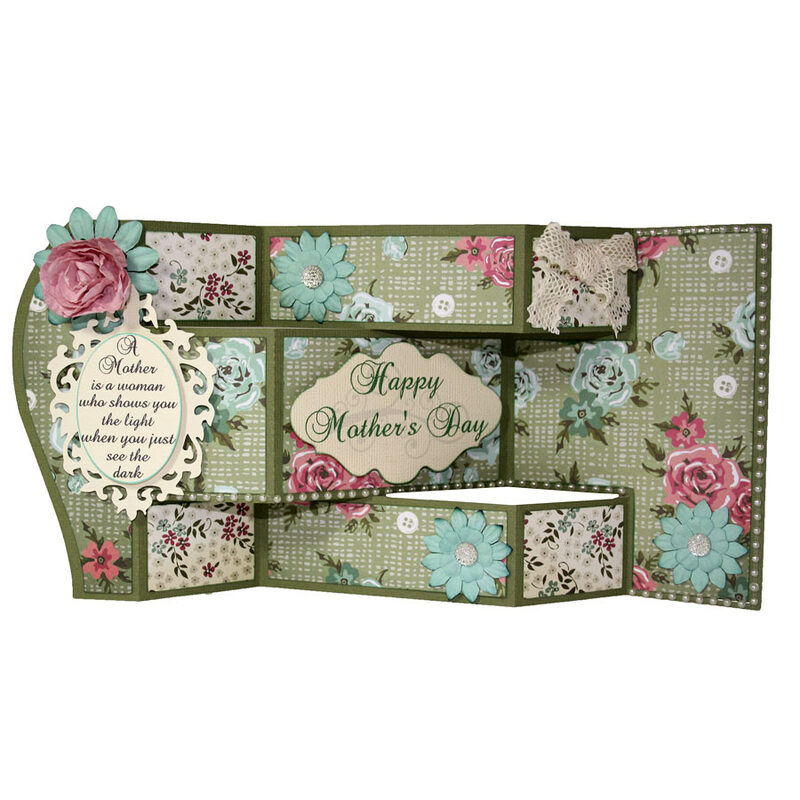 I ran the oval from the Vintage Frame through the Sizzix as well but using the Swiss Dots instead of the Floral pattern. 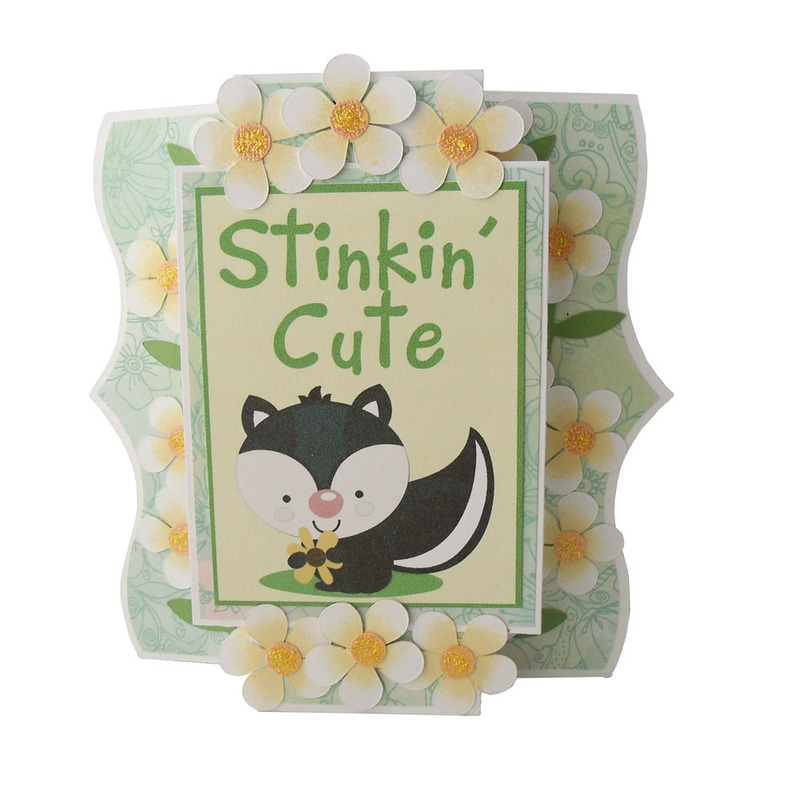 Once all my pieces were inked around the edges and the bow assembled, I brought everything together for a card that is beautiful in its simplicity. Such a striking card with the colour combination. Love everything about the centre panel. 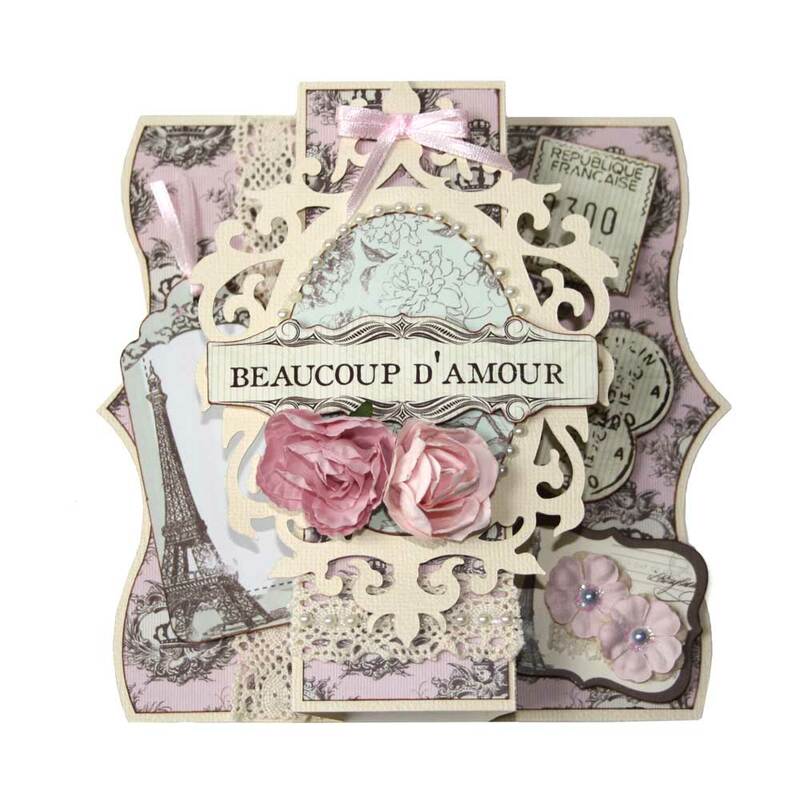 Beautiful card and I really like the embossing combination. Actually, I like everything about this card :). Seeing how you used the frame and the dimensional bow tells me I need to make a trip to the craft room library (I “need” those files!). Stunning!!! I am in love with the color combination you chose! Just Beautiful!! !